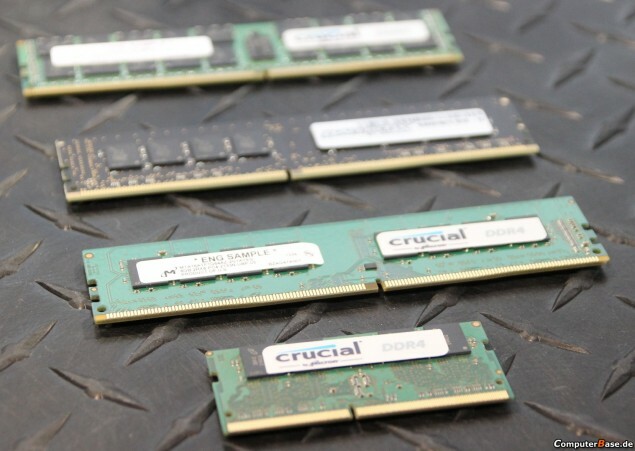 Crucual, a leading memory and flash products manufacturer is aiming to launch their latest DDR4 memory modules for desktop PCs in late 2014. Computerbase managed to take pictures of their CES 2014 booth where several engineering samples of the upcoming DDR4 memory modules were showcased. JEDEC standard of DDR4-2133-2400 (1.2V) so these will obviously be considered OC memory kits. specifications which allows memory to be optimized on Intel motherboards so that it runs stable at the clock frequencies and ratings its shipped from the memory maker. that time with different clocks and timing configurations. in 2015 since price of DDR4 would start decreasing.